"Believe nothing you hear, and only one half that you see." 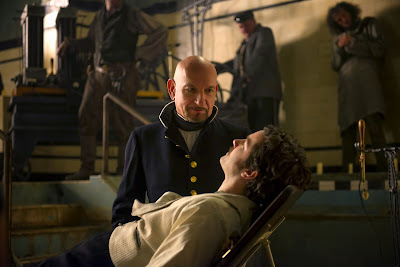 That's a piece of advice offered in Stonehearst Asylum to the film's ostensible hero, Dr. Edward Newgate (Jim Sturgess). It's also the most important suggestion made by author Edgar Allan Poe to his reader in the droll short story that the movie is loosely based on, "The System of Doctor Tarr and Professor Fether." Directed by Brad Anderson (The Call), Stonehearst Asylum is more clever than scary. But there's a lot to be said for a well plotted thriller in a time when too many horror movies hinge more on shocking their audiences instead of getting under their skin. An illustrious group of British actors fill out the cast of the 19th century asylum's denizens, who welcome Dr. Newgate with open if befuddled arms. In charge is Silas Lamb (Ben Kingsley), a proponent of a benevolent form of treatment that avoids the corporal punishment prevalent in sanatoriums of the time and instead helps patients work through their neuroses through acceptance and an easing of their sense of confinement. It is why Newgate is initially unclear if the apparently untroubled Eliza (Kate Beckinsale) is sane; or why he confuses one distinguished looking gentleman for staff until he starts babbling. Anderson confirms his broken mental state when he cuts from a two-shot of Newgate and the man to a close-up of his bare, dirty feet. That things are a bit off become even more clear to Newgate after Lamb hosts a comical dinner in which patients commingle with staff, blurring the lines until one isn't quite sure if it's the inmates or the alienists running the asylum. Stonehearst Asylum is a throwback to more intricate, spooky tales that rarely make it onto the screen anymore. Each time it veers close to predictability, it introduces a new twist that seems natural rather than just a convenient turn away from a red herring. As the movie nears its conclusion, you'll find yourself emotionally invested in the dilemmas facing both Newgate and those who oppose him, a compelling foundation for any film but especially for a small-scale gem like this one. 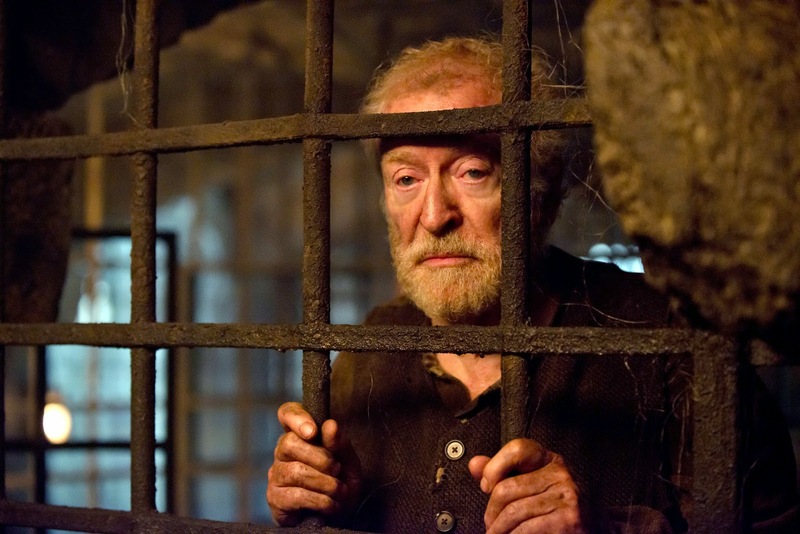 Ultimately, Stonehearst Asylum isn't quite as terrifying as some of Anderson's previous efforts. But it is an effective enough gothic mystery to get you in the mood for this Halloween season and ideal for those who prefer a good, old school chiller to a trite, tedious blood-spiller.